Ten years ago, a Rosemary McAllister arrived in the sixth boro. I took the photo below on July 13, 2008. That Rosemary is now Audrey, just Audrey. 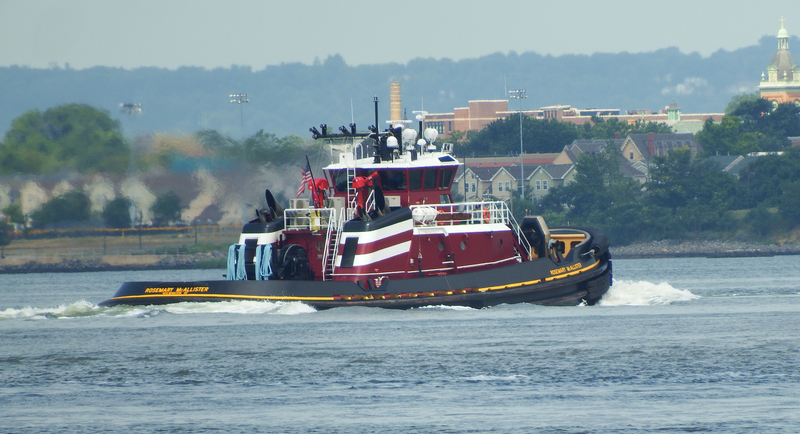 Among other specs, that 6000 hp tug is Tier II compliant. The photo directly above and all those below I took yesterday, as she arrived in the sixth boro. There was a christening, but elsewhere snagged me. Let’s compare them: at 100′ x 40′, this new Rosemary is almost 10′ longer and 4′ wider. 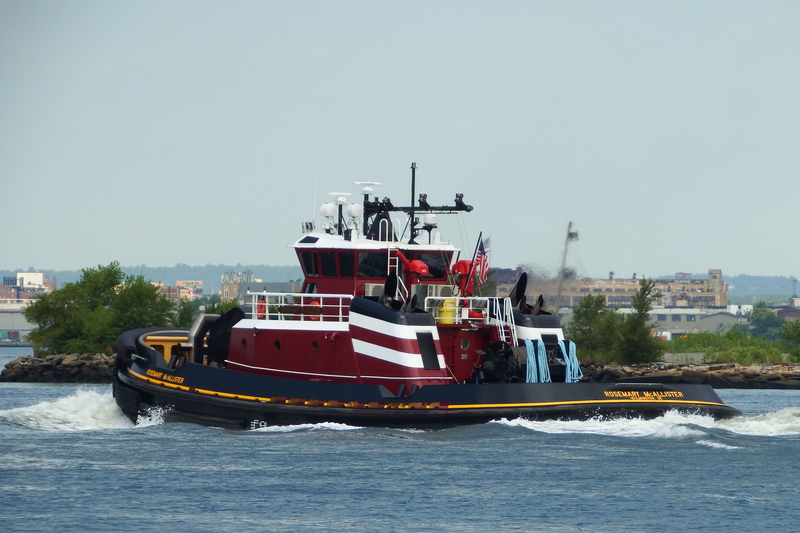 Powered by CAT 3516E Tier VI engines, she generates 6770 hp, compared with 6000 hp for her predecessor. 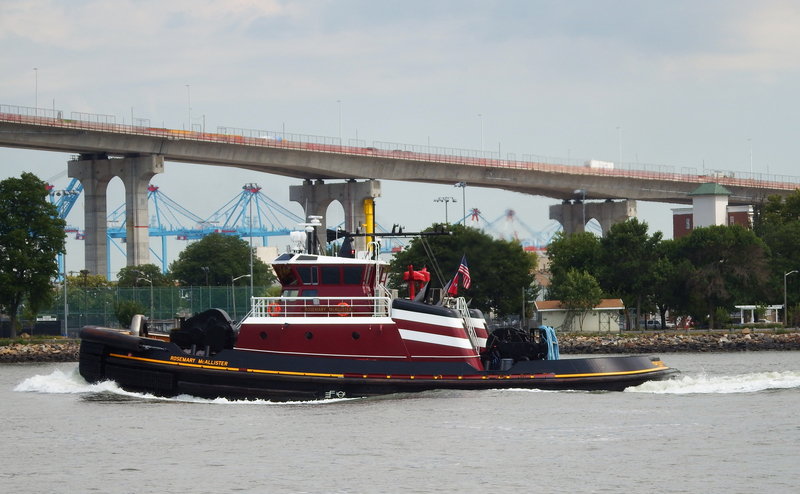 Today was the day to see her here, as she seems to have headed back to Norfolk right after the christening, and will arrive there by midafternoon. Click here, here, and here for posts I did about the 2008 Rosemary. The third link there is of Rosemary‘s christening along with Timothy in September 2008. 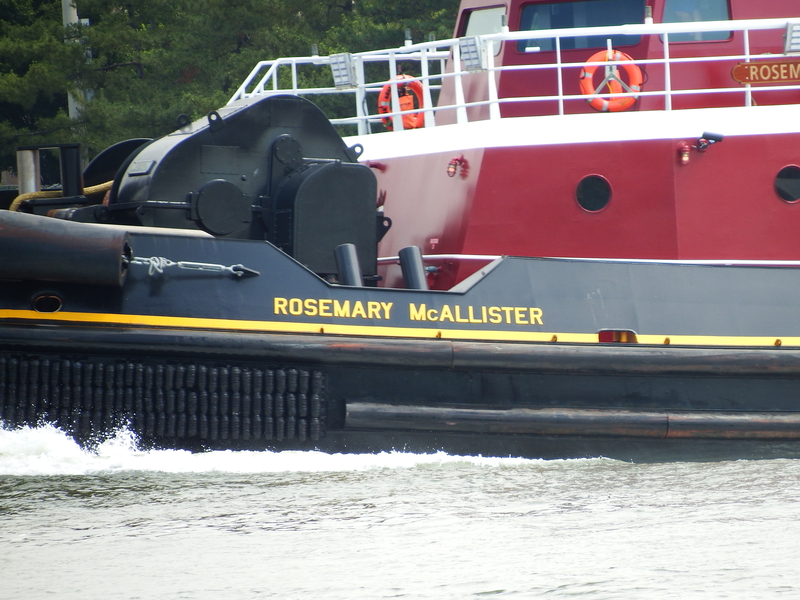 As was the case 10 years ago, Rosemary shared the christening yesterday with Capt. Brian A. McAllister, a twin. 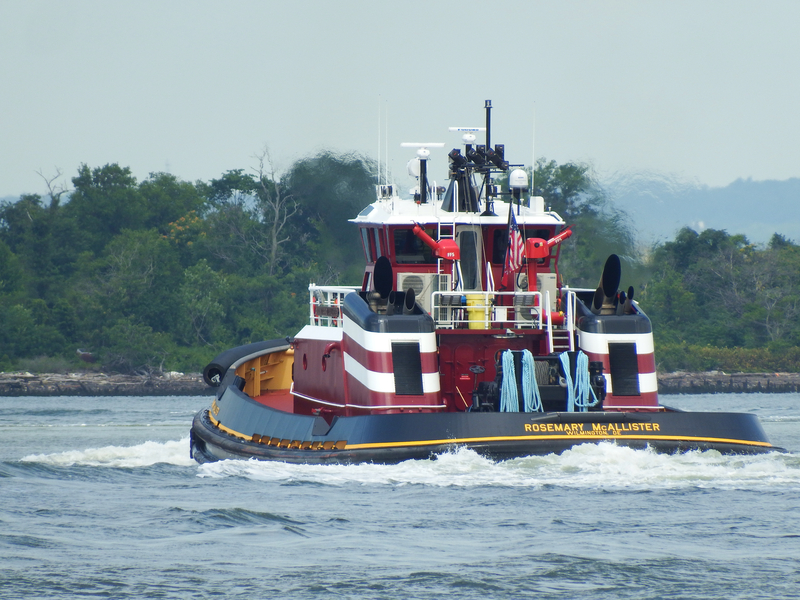 Here’s an article from Workboat.